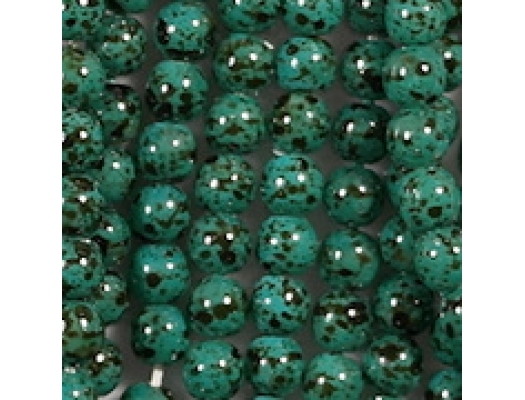 Colors/description: Glass beads (probably white) with a synthetic turquoise coating and black speckles. 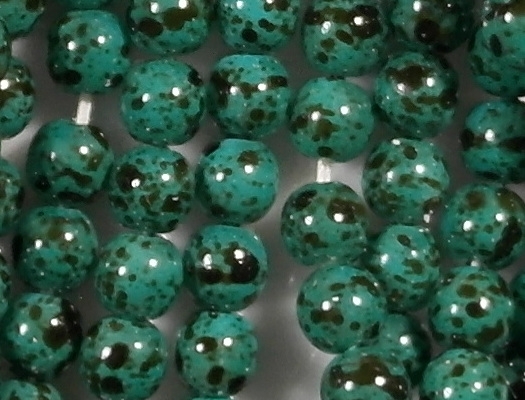 I believe, though I am not certain, that the coating on these beads is heat-treated ("fire-polished") to make it hard. 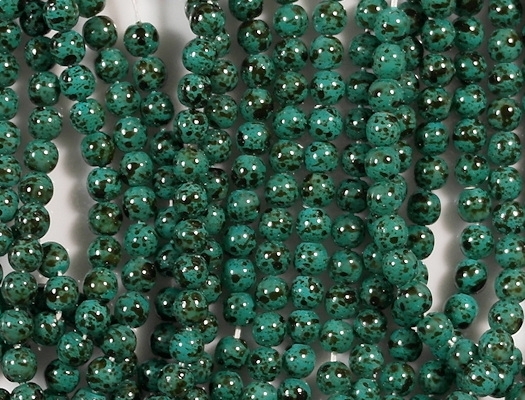 Defects: The beads appear to be in good shape. 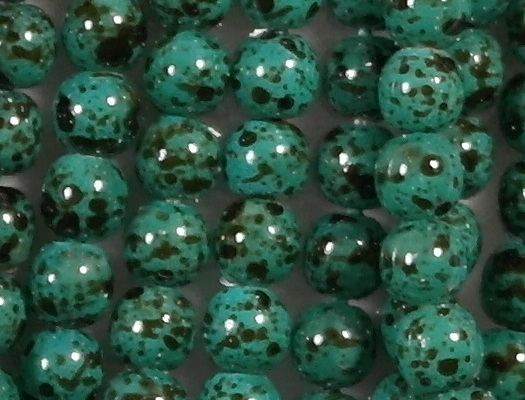 Some synthetically coated beads lose their color over time, but these don't. How photographed: Between two daylight-balanced lamps. 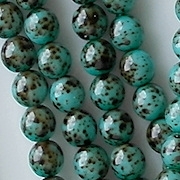 The lamps leave two bright spots on each bead, which is unfortunate. 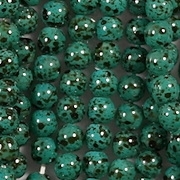 Comments: I have carried this color in other sizes and shapes, but for some reason I never got the 4mm beads until now. 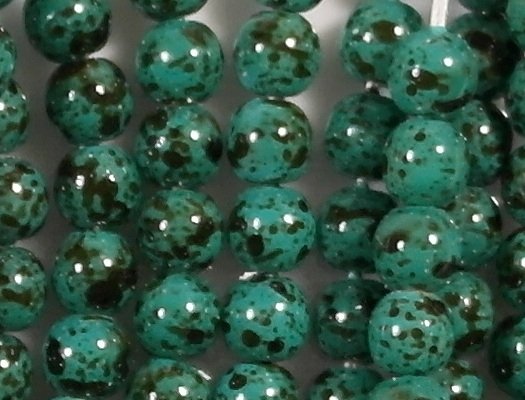 The turquoise color is very deep.